30 Authors in 30 Days is a first of its kind event aimed at connecting readers, bloggers, and authors. Hosted by The Book Wheel, this month-long event takes place during September and features 30 authors discussing their favorite recent reads on 30 different blogs. There are also some great prizes provided by GoneReading.com and BookJigs. For the full schedule of participating authors and bloggers, visit The Book Wheel or join the Facebook group. 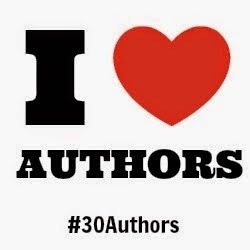 You can also follow along on Twitter with the #30Authors hashtag. 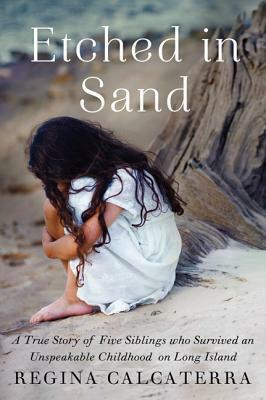 I'll be featuring Regina Calcaterra, author of the memoir Etched in Sand on September 25. I reviewed her book in 2013, and was deeply moved by her story as I found it "tragically heartbreaking yet fiercely hopeful." It'll be wonderful to have her visit. Enter to win some great prizes provided by GoneReading.com and BookJigs.